I ADORE christmas.organizedhome.com, and their master plan for an organized Christmas is pure genius. 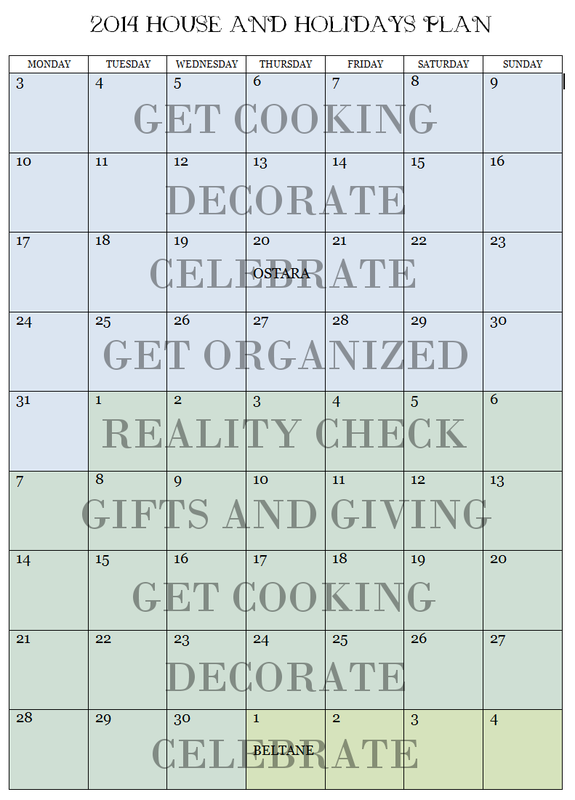 So I have adjusted their weekly checklist to Pagan Sabbaths, and here's a printable calender. You should be able to right-click the image and view it, to be able to print a page for your Sabbath Planner. It should be clear enough.